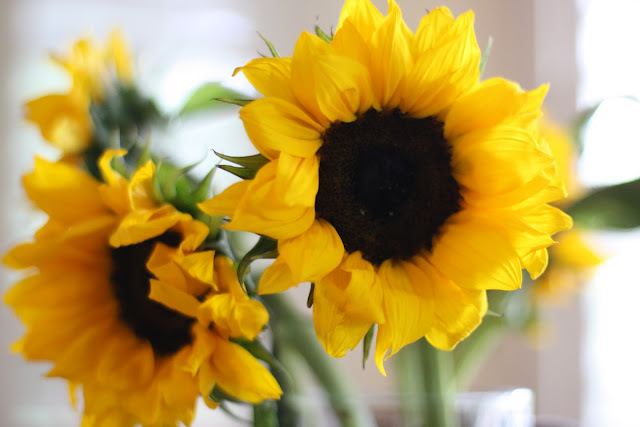 :: Indigo's current favorite flower is the sunflower. The choice seems fitting given her disposition. Evie and I chose a bouquet of sunflowers to honor Indigo on her last day of preschool last Friday. Next year she starts kindergarten. I know it's cliche, but the time sure does pass quickly, now doesn't it? 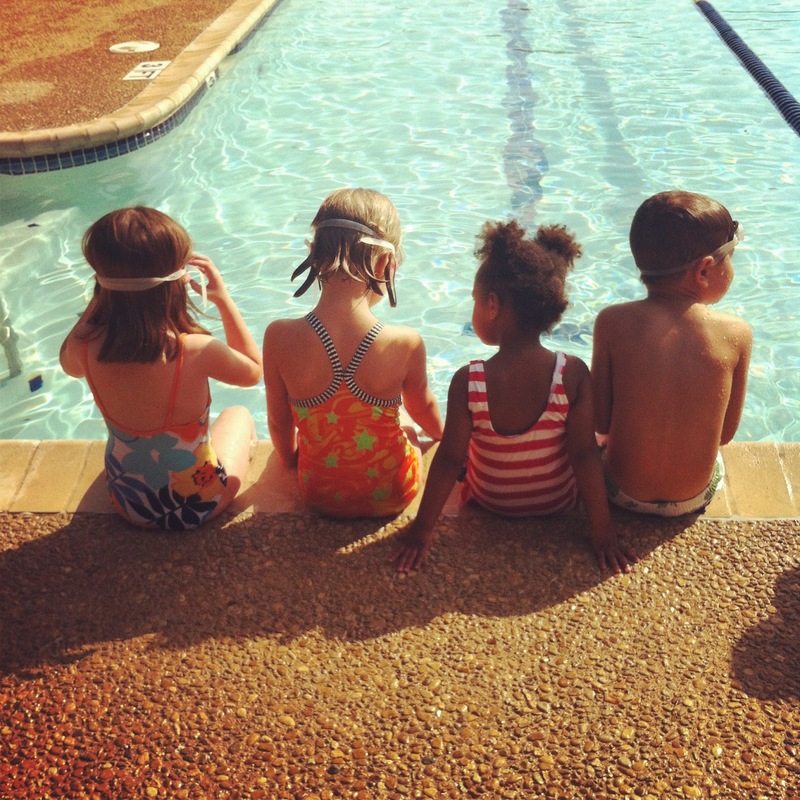 :: Jude and Indigo joined the neighborhood swim team. Does it get any cuter than this? 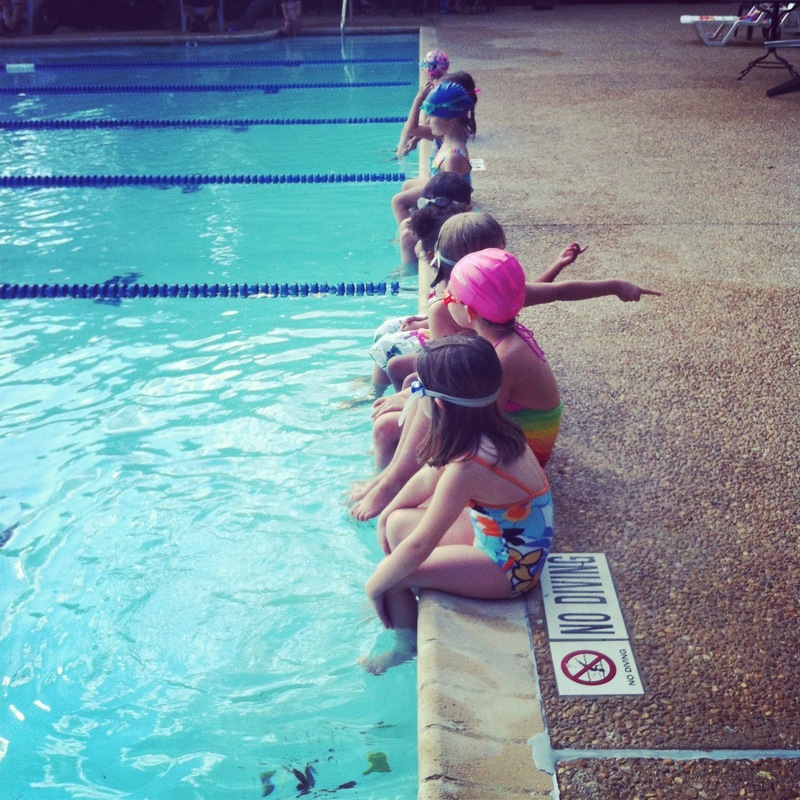 Even though Evie is too young to join, they let her sit on the sidelines and feel like she's part of the team anyway. 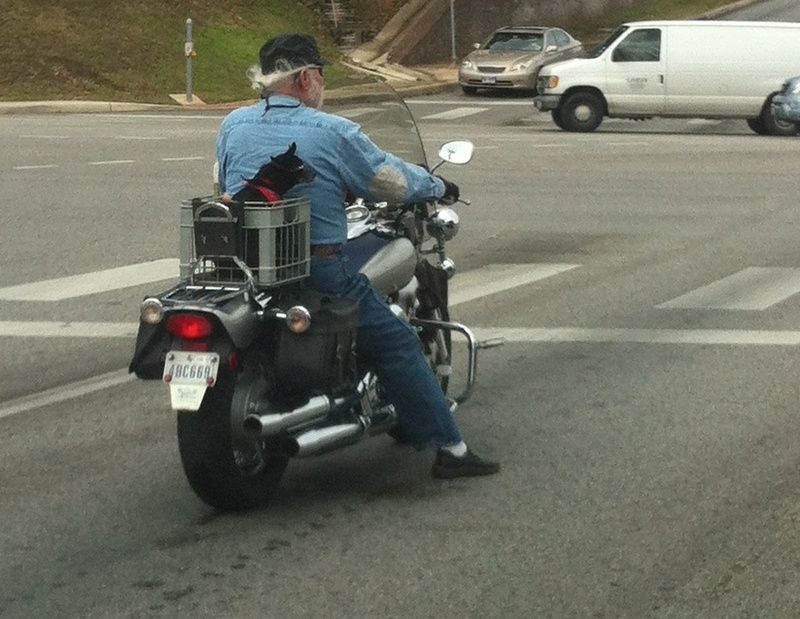 :: A dude on a bike, with not just a dog in a basket, but a dog wearing goggles in a basket. 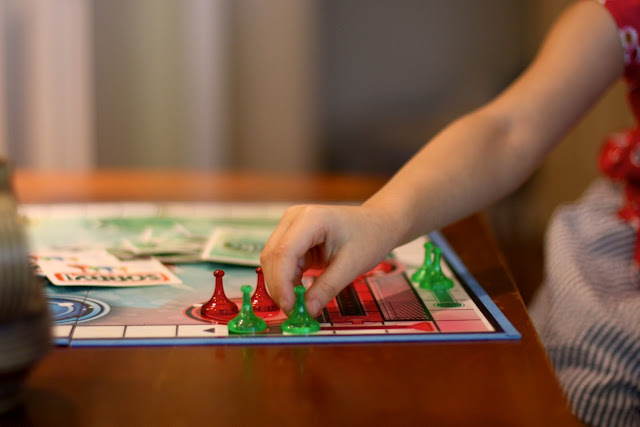 :: Indigo asked me if I wanted to play "Sorry: The Game of Sweet Revenge". 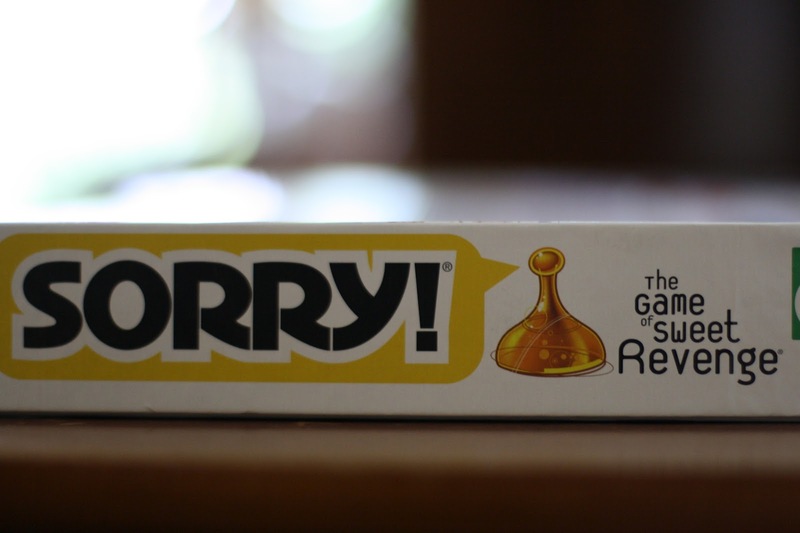 I like to say I'm always sorry for playing Sorry. I don't think we've ever made it though that game without tears being shed. But I obliged... And this time was no exception. - this west African peanut chicken. Dan grew up in Liberia and says this dish tastes pretty authentic. - these sweet potato fries. No, it does NOT get sweeter than that! :) SO darn cute!